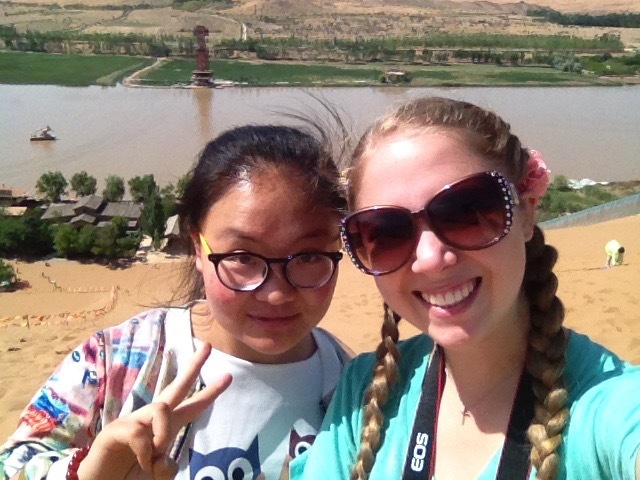 This weekend I had the chance to visit ZhongWei with a student that lives there! 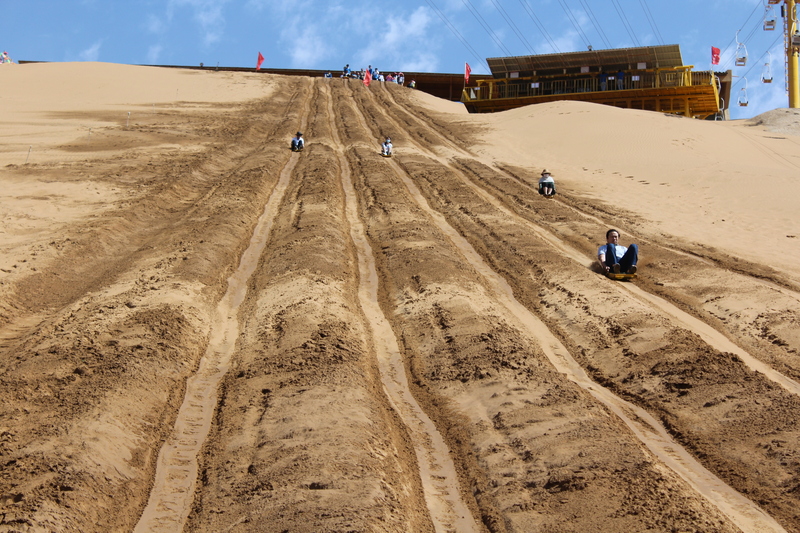 ZhongWei is located in west-central Ningxia along the Yellow River, and is boardered in mountains and the Tengger Desert! 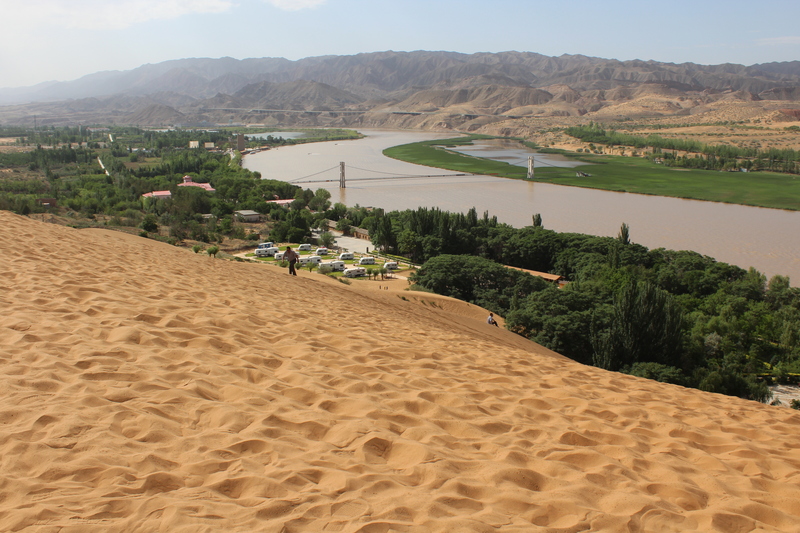 Its most popular feature is the Shapotou area, a 2,000-meter long and 100-meter high sand mound on the northern bank of the Yellow River and at the southern edge of the Tengger Desert. 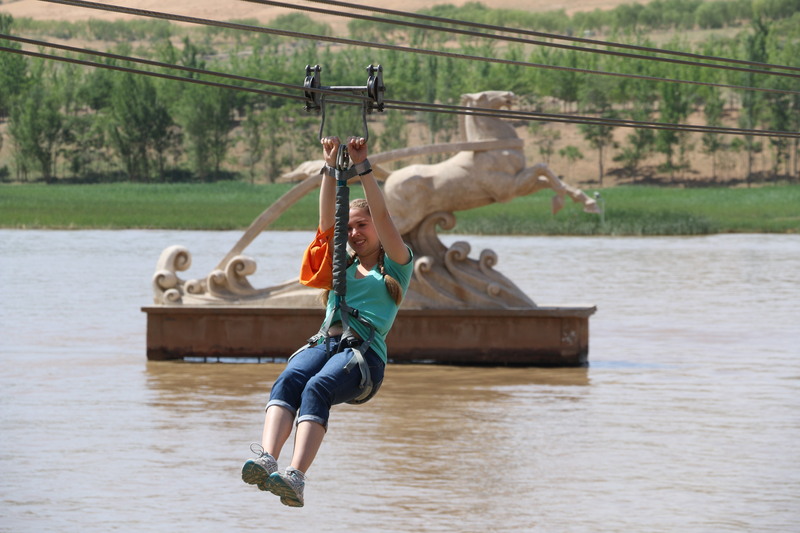 Or how about Ziplining across the Yellow River? 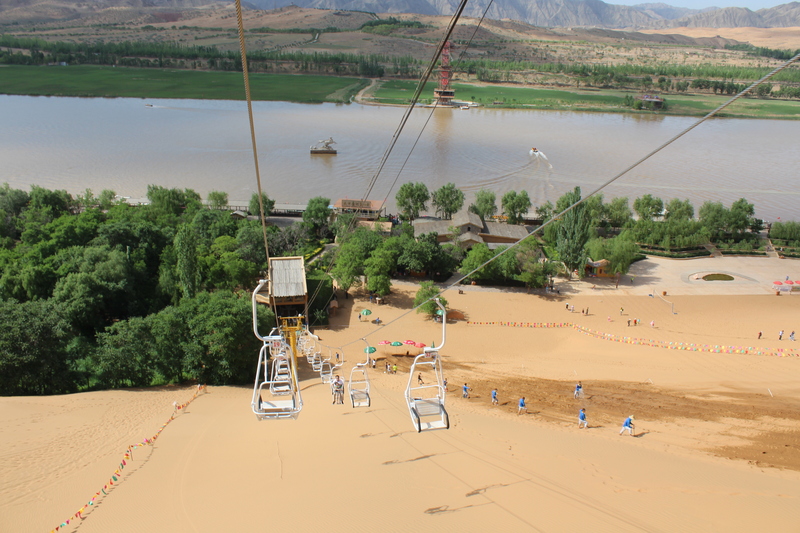 The cableway is 820 meters long, 54 meters high above the water and slides at an average speed of 8 m/s (about 26 feet per second). 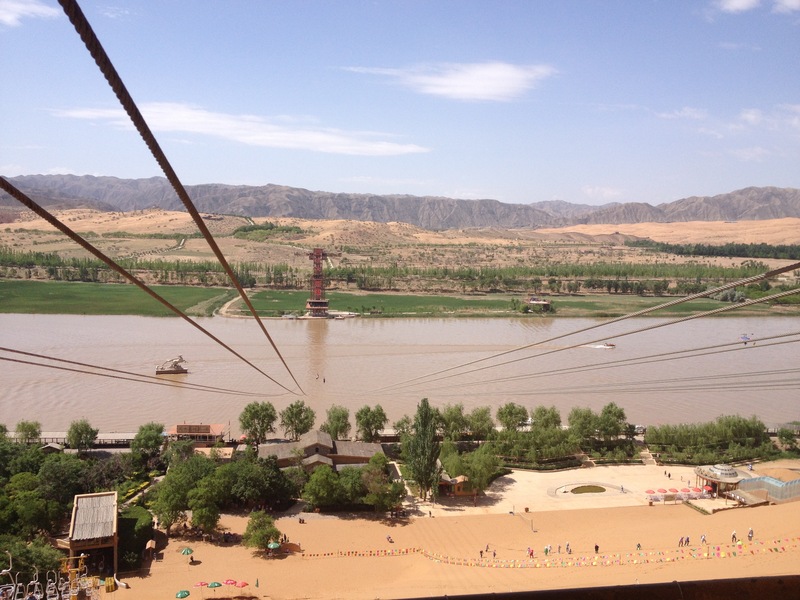 The cableway at Shapotou is unique in China, in that it depends totally on gravity to set it in motion.There is also a similar Zipline in which you “fly” across the river on a plane-like contraption. 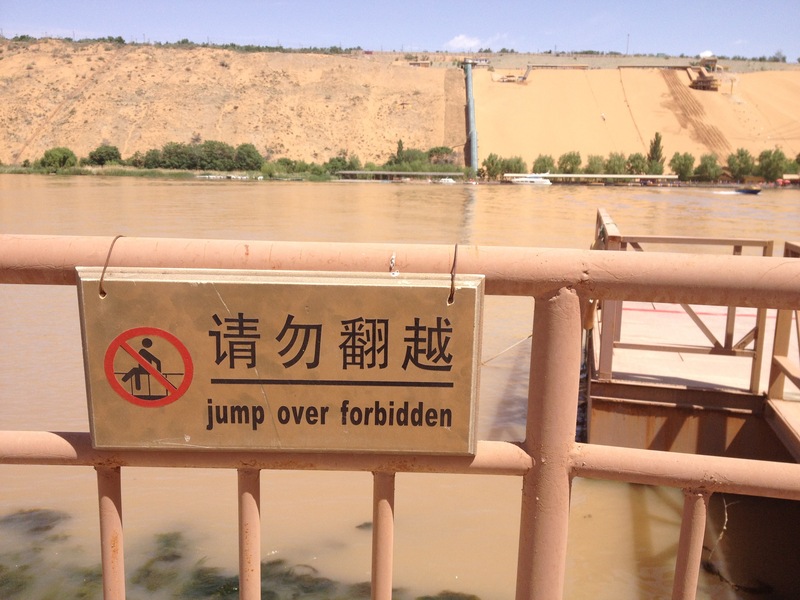 Other activities include camel riding, sand-jeep rides, and speed-boat rides along the Yellow River. 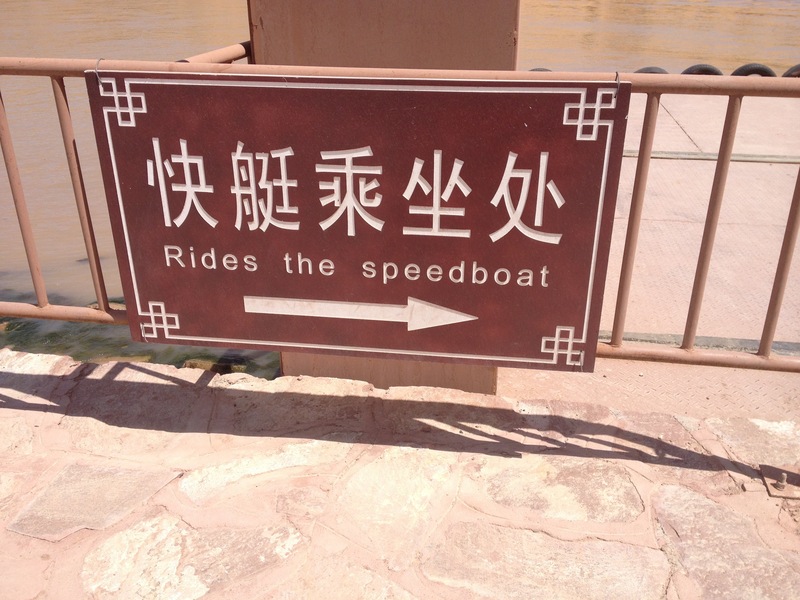 The catch is…all activities cost money. It like a theme park in that you pay an entrance fee, but then once you get in, each activity is paid for separately or in packages. 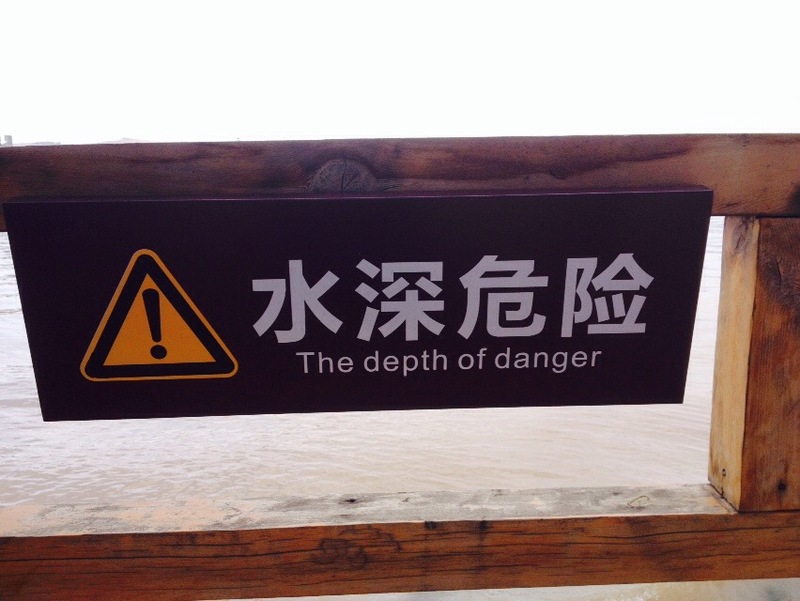 This is where guanxi comes in. Being with one of my local students who had relatives working there, meant some special deal, making it more affordable for me! 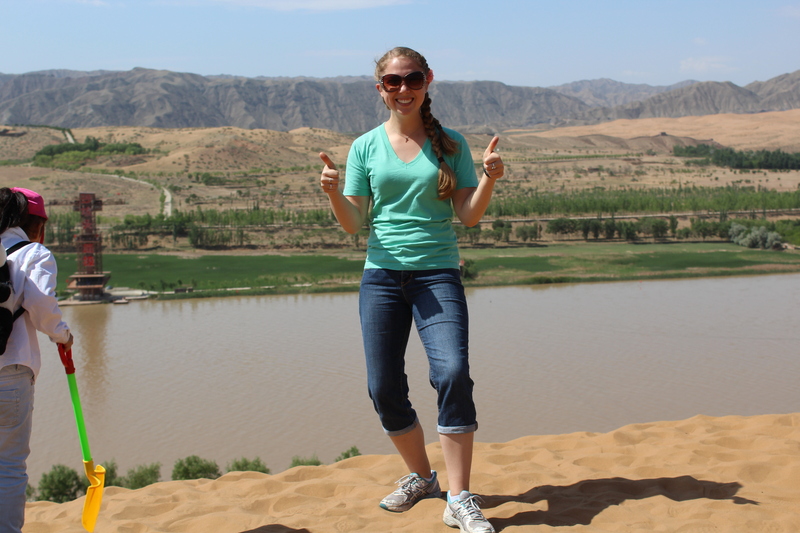 There are, however, free things to do too; walking along the Yellow River trail, walking up or rolling in the sand dunes, making sand castles and what not. The park allows families to bring in plastic shovels and pails for kids to play with and allows snacks/lunch to be brought in as well. 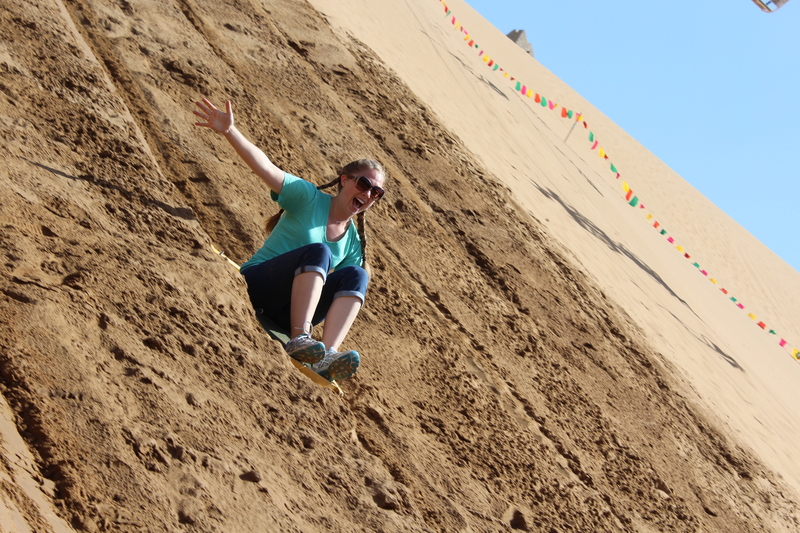 Regardless, it was a day to remember and definitely the coolest thing I have done in Ningxia. For all you world travelers out there, if you ever decide to make your way out to Ningxia, ZhongWei is the place to stop and Shapotou is worth the cost. In addition to the Shapotou area, the city is dotted with other assorted historical temples and monuments. With just over 1 million people, ZhongWei has a small-town China feel with the benefits of a big city. 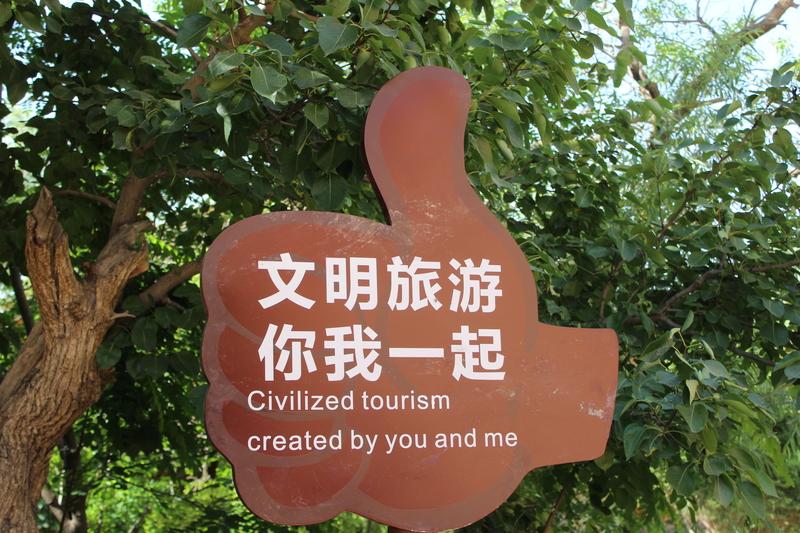 The tourism draw keeps the city clean and well-built. I was incredibly impressed how homey it felt in the residential area due to trees, bike paths, and well-organized traffic. 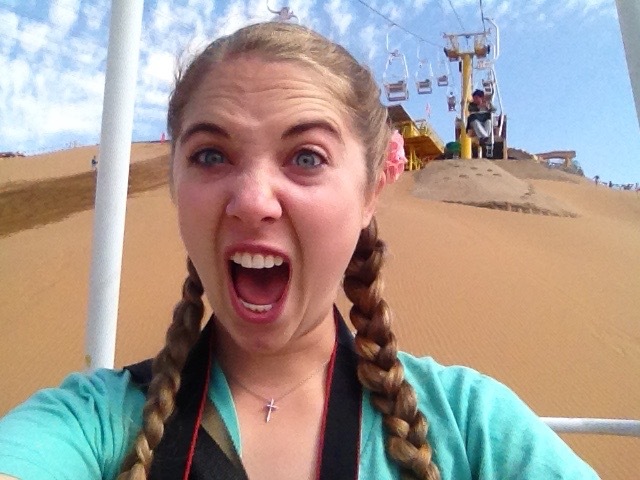 I would love to come back and explore more! Two thumbs up for ZhongWei!